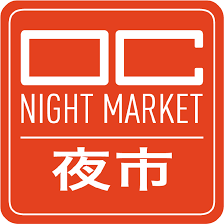 We are so excited to be a part of the OC Night Market! This is going to be a fun filled night, so make sure you don’t miss it. Single night tickets can be purchased for $5 or a 3-Night Weekend pass for $12 at https://www.ocnightmarket.com/tickets.